First in an occasional series of short posts about stuff found lying around the house. 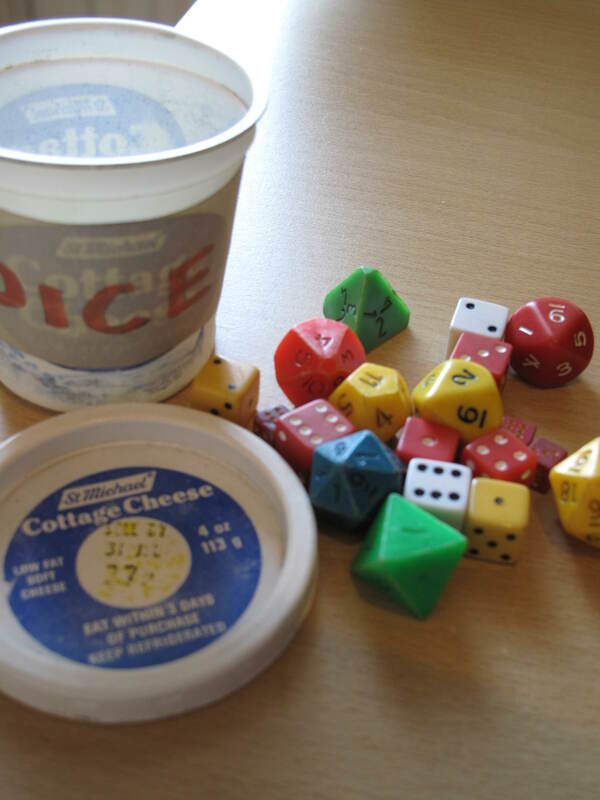 After the Drayton Nights – 6 post in which role playing games were mentioned I thought I’d snap these beauties. Carefully stored away in a St Michael Cottage Cheese pot (Sell by date 31 JUL of indeterminate year in case you were interested) as they have been for probably 25 years, give or take. The pot itself is starting to disintegrate, the plastic having lost its viability, and it has a large split parallel to the base along about 1/5 of its circumference. I fear its not going to survive much longer and could well give up the ghost the next time I try to open it. 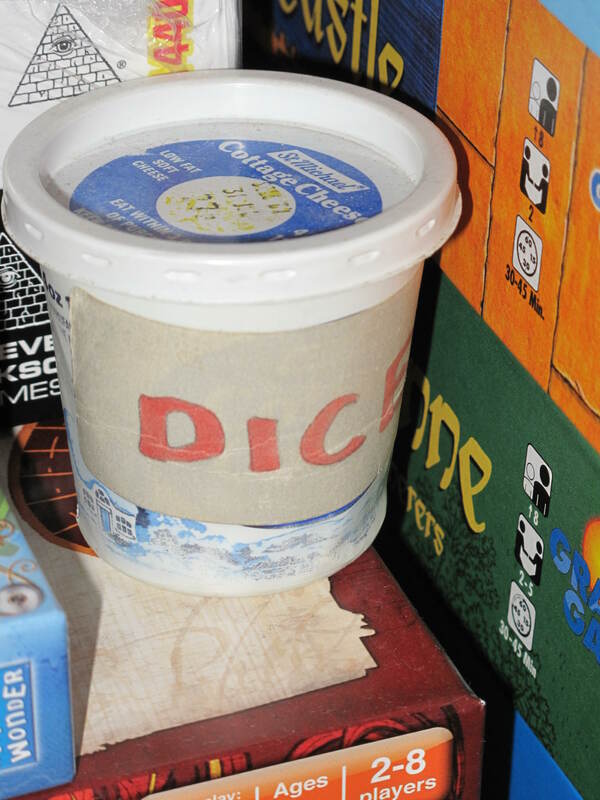 Inside, as you may have gathered from the label, are what remains of my collection of role playing dice. The oldest amongst them, the green D8 and D4 were bought, if I remember rightly, from Games Gallery in Newcastle over 30 years ago. Now long gone it was a role playing game store which used to sit on the site of the now abandoned French cafe on the Monument entrance to the Central Arcade. That or one of the units adjacent to it. It was a long time ago and my memory is not what it was. Speaking of which, I can’t remember the last time they were used in anger but it would certainly be in the region of 20 years or so. Regardless, I couldn’t part with them. Too many memories in there.